Love islands? Enjoy riding a boat around at sea but wish there was more to see there? Think the original boat in Minecraft is stupidly slow and fragile? Are you a pirate? Wish you were constantly getting attacked by zombies that don’t burn in sunlight? (just kidding, they’re not that annoying) If you answered ‘yes’ to any of those, this is the mod for you. Ocean Adventures is a mod that creates an endless ocean world with beautiful islands, small, big, high and low. It also adds two new mobs, a new ore & armor/tool set, a new boat, four new types of fish, a new crop, a new light block, treasures, diving helmets, sea charts and more! The new mobs: The pirate zombie is a zombie pigman -like mob. These guys are otherwise harmless, but they will attack you very fiercely if you hurt them. They are also very greedy: if you have anything that they consider valuable, they will immediately attack you. However, if you have a pirate sword, they will consider you one of their own and leave you alone unless you attack them. Unlike most other mobs, pirate zombies aren’t afraid of sunlight. They only spawn in the dark, though. Killing pirate zombies can cause them to drop their pirate sword, most of which are equipped with a loot-increasing enchantment.The water zombie looks like a zombie covered in seaweed. It is otherwise the same as a normal one, but it only spawns in water and doesn’t burn in sunlight. The new ore: Oceanite ore is an ore very different from the ordinary ores in Minecraft. It spawns only on the ocean floor, which makes it fairly difficult to collect. (pro tip: use water breathing potions.) Make beautifully green, iron-level tools or armor with it! Or you could combine it with clay to make nice green bricks! A screenshot of oceanite ore on the ocean floor is under the Screenshots spoiler in case you’re wondering what it looks like. The new boat: The speedboat, crafted from iron and redstone, is the best way to travel the vast ocean. It accelerates and moves much faster than the original boat, won’t get destroyed if you drive it into walls and has an (invisible) anchor so it won’t float away while you’re not looking. This is definitely the coolest and most fun way to travel! 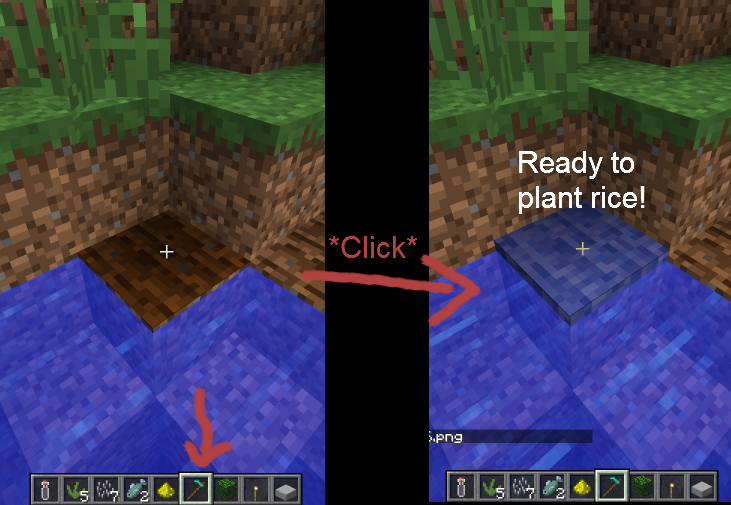 The new crop: Rice can be grown on rice farm blocks, which are created by using your oceanite hoe on watered farmland. It is used to make bowls of rice and sushi and currently only obtained from treasure chests. Note that the crop and the seed are the same item (called Rice). Make sure you keep some planted so you don’t run out! 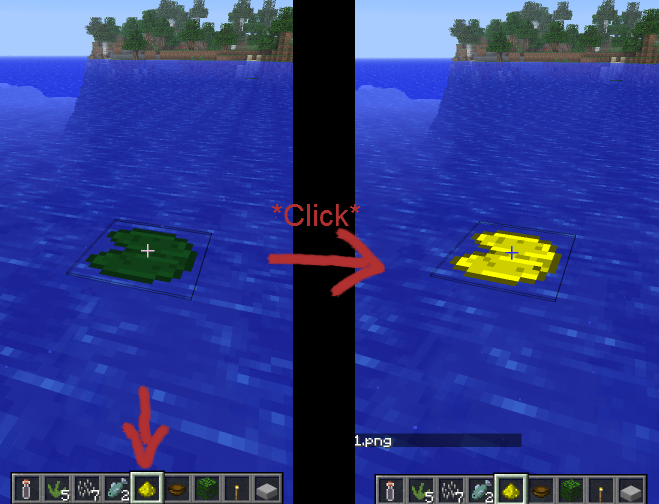 The new blocks: Glowing lilypads are great for marking your route on the ocean. Drop these on the way and you will no longer have to worry about getting lost on the sea. Make them out of normal lilypads and glowstone. Other blocks added by the mod include oceanite blocks and bricks, which you can craft out of oceanite. The treasures: You might see an X-shaped marking on grass or sand on one of your adventures. This means a treasure chest is buried at that spot! Bottles of rum, rice, oceanite ingots and some valuable items may be found inside. Put Ocean Adventures Mod zip file into your /.minecraft/mods folder. Do not unzip it.